Tory Chancellor Phillip Hammond blames low UK productivity on the disabled. It's not the fact the Tories have crashed the economy - it's because of all the wheelchair access? This is despicable. 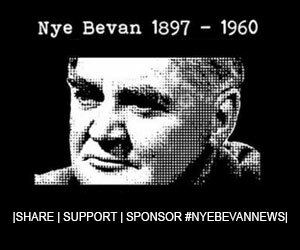 #ToriesOut |Please Sponsor #NyeBevanNews|Contribute and help us grow paypal.me/NyeBevanNewsPatrons| If you like what we do at Nye Bevan News, and would like to support us, please order one of these T shirts. ("Lower than Vermin" T shirt + "Born in the NHS" Badge + postage = £20) To place your order, please message the page. Tory Chancellor Philip Hammond ignores real culprits and blames disabled people for low UK productivity.